I Challenge Diabetes is excited to announce our 2nd Annual Family Workshop in partnership with The Charles H. Best Diabetes Centre. Participants are invited to join their peers living with T1D for the day. Parents will enjoy our interactive style workshop, with some of the top leaders in our community, and will leave with tools and resources to effectively navigate school and life with T1, and make important connections with other families. Kids will sharpen their sports and diabetes skills with Elite T1 coaches and mentors, all within ICD’s framework of optimizing blood glucose management during exercise and creating a positive, supportive environment where kids can learn and grow together! 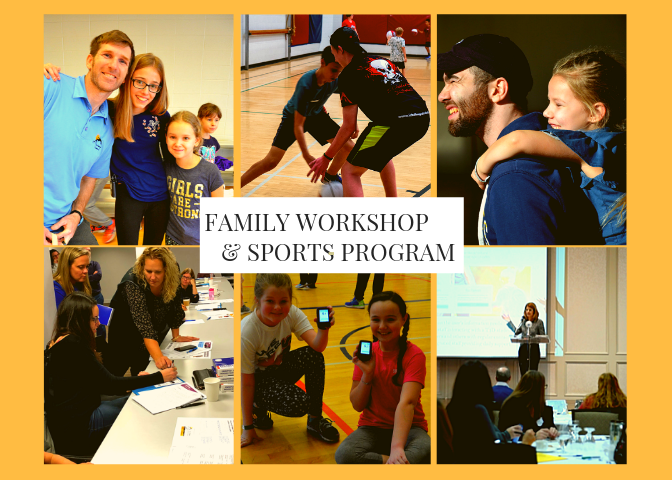 Who: All families living with Type 1 Diabetes – Sports Program is open to children with and without type 1 diabetes aged 5 and up. Older teens may choose to join as volunteers and earn community hours. We are also offering a specialized program for our Wee Challengers under 5. Please contact us at the options below with inquiries. Tech in the Classroom with Dr. Alex Abitbol from LMC, and Kate Farnsworth and Pina Barbieri from Night Scout. PPM 161 Status Update: Overcoming Barriers in Implementation in Ontario schools with Lisa Geelen, Kids in School Program Campaign Chair and more!